Well i received some lovely dominoes over the weekend from a forum swap on Aunty's, I received my fabulous Dominoes from Ali. Sorry pictures not too great acetate doesn't like being photographed well it tends to go funny and distorts everything even though its crystal clear to look at in real . 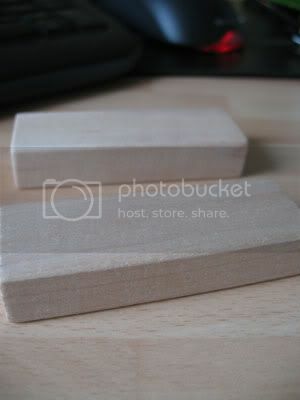 The supplies i used to make this was, 6 Jenga wooden blocks , Acetate , 8 Nails, Ribbon , Backing paper & Board and also Black , Copper Reeves Acrylic paints. 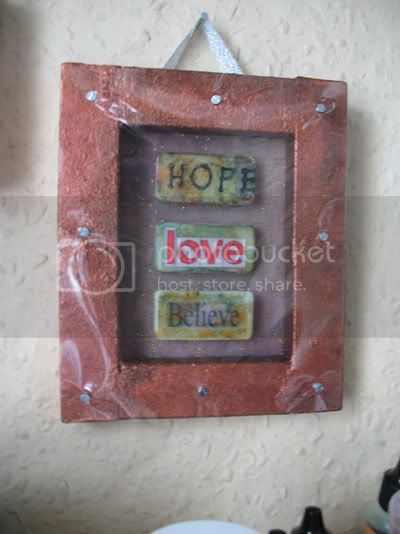 This entry was posted on 20.8.07 and is filed under Other Stamping Projects . You can follow any responses to this entry through the RSS 2.0 feed. You can leave a response, or trackback from your own site.